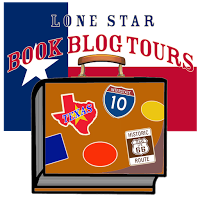 For the first five days of the Lone Star Book Blog Tours promotion of Harmon General, the Kindle e-book of The Big Inch is FREE!! That’s right, from June 22-27, the e-book that started the whole Misfits and Millionaires adventure costs nada! Click to download your copy! Reading this book for review came at an interesting time for me–we had just returned from a short getaway in East Texas. While we hadn’t quite made it as far as Longview, it was still neat to have the story set so close to where we had been. In one word, Harmon General is Captivating. It kept me interested and intrigued and needing to know what happened next. Lane Mercer is trying to figure out what she wants in life, and it isn’t easy. Being an agent, even semi-retired, certainly makes figuring things out a lot more difficult, especially when it seems Longview has become a hotbed for those willing to sell secrets for a pretty penny. Also complicating matters is the fact that Lane hasn’t exactly dealt with her past, and it’s keeping her from moving on. Lane isn’t the only one this book focuses on, but she is the main one. That’s not to say Emmie Tesco doesn’t have her own things to work through (that epilogue was so emotional!). The entire cast of characters in this book is unique–each a thoroughly believable individual with their own motivations, agendas, secrets, and prejudices. The setting (location and time period) were very well-researched and represented in these books. Truly, I had no idea where this book was going to lead me. I remember being almost exactly at the halfway point, and my heart was breaking for Lane, and I had no idea how the situations were going to play out–and that was just the middle! While I feel I can’t really comment on anything past that halfway point, I will say it was a great ride! I really loved Lane’s scene at the golf course. I’d have to say, it’s certainly a wonderful way of dealing with Lane Mercer’s Pet Peeve, being underestimated because you’re a woman. If you enjoy historical fiction, espionage, or women defying social norms/expectations, I’d highly recommend picking this book up. My review of The Big Inch. Kimberly Fish started writing professionally with the birth of her second child and the purchase of a home computer. Having found this dubious outlet, she then entered and won The Writer’s League of Texas manuscript contest which fed her on-going fascination with story crafting. at places that have inspired the novels! What a great review, and you are right — captivating is the right word. Love the link to the characters’ pet peeves post, too! I am so glad I read this book and can’t wait to see where things go from here.